“Believe And You Will Achieve,” is a motto that many Special Olympics Illinois Athletes and Coaches model their sports-competition training around. Special Olympics Illinois Athletes put their dedication and training to show, as many competed, in Equestrian at the 2017 Fall Games on October 28 and 29. This year, 138 Athletes competed in equestrian, making it one of the fastest growing Special Olympics sports in Illinois. Bravehearts Therapeutic Riding, an equestrian riding center based in Harvard and Poplar Grove, Illinois, are seasoned pros when it comes hosting the equestrian portion of Fall Games. 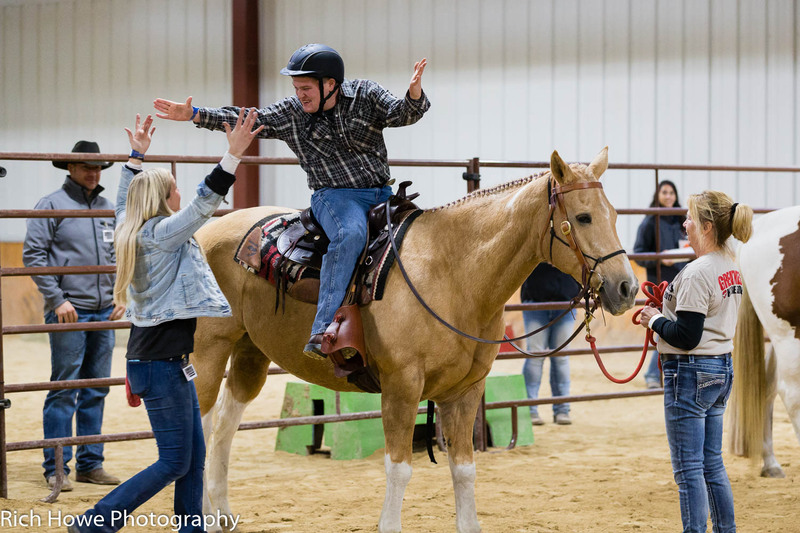 This year was their fifth year hosting the event at their riding center and their eighth year participating in the Special Olympics Illinois Fall Games. Megan Hill-McQueeney, President/COO and Master Level PATH Certified Instructor of Bravehearts Riding has been in the therapeutic riding field for 25 years. The Bravehearts Therapeutic Riding team had thirty-four athletes qualify for the Fall Games tournament. Another veteran of Fall Games is Horsefeathers Therapeutic Riding, which is based in Lake Forest Illinois. The Horsefeathers program was formed in 2008 and has grown ever since. 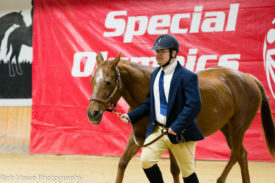 They began participating in Special Olympics Illinois equestrian events in 2009. To date, there are 20 athletes in their program and are continually growing. Jyll Knautz, Special Olympics therapeutic riding coach, sent her very first student to Fall Games this year. Jacob Riedler was ecstatic when he qualified for Fall Games. 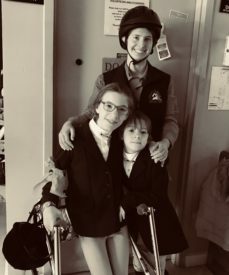 Jacob began his journey with Horsefeathers as an assisted rider, and in the last few years, he has progressed immensely to an independent rider. This accomplishment is monumental for Jacob. He began riding when he was young and continued persevering and conquering his goals along the way. At Fall Games, Jacob placed first in Horseback and third in showmanship. Bravehearts and Horsefeathers continue to be trailblazers for our hundreds of Special Olympics athletes from across the state in the sport of equestrian who announce “Let me Win, but if Cannot, Let Me Be Brave in the Attempt” in their pursuit of reaching their goals at Fall Games.